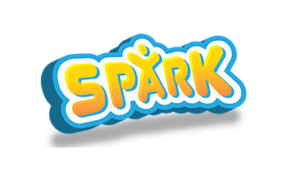 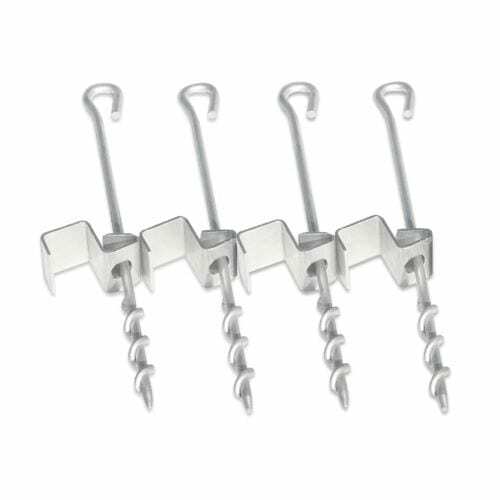 The SPARK Anchor Set is strapless, and made of high tensile galvanised steel. 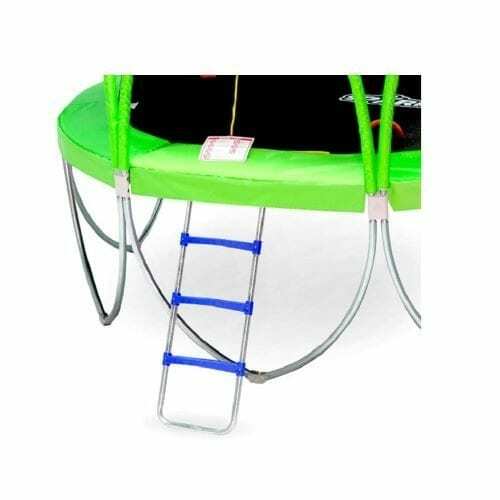 Four pairs of wide “U” clamps and smart spiral hooks will secure your trampoline in all conditions for years. 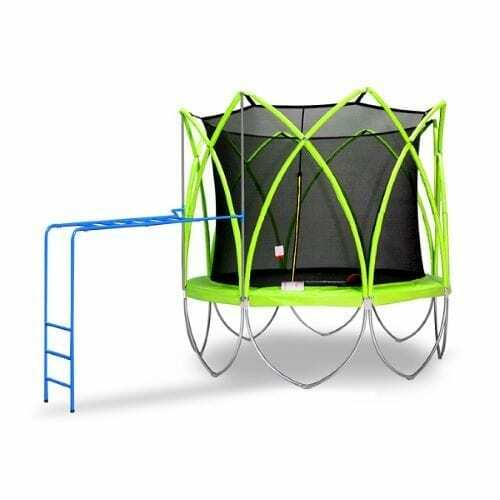 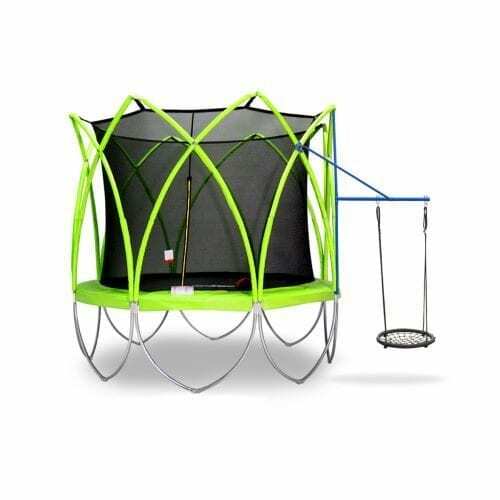 The simple “U” plate clamp and spiral design and “U” hook make attachment with SPARK trampoline easier and quicker. 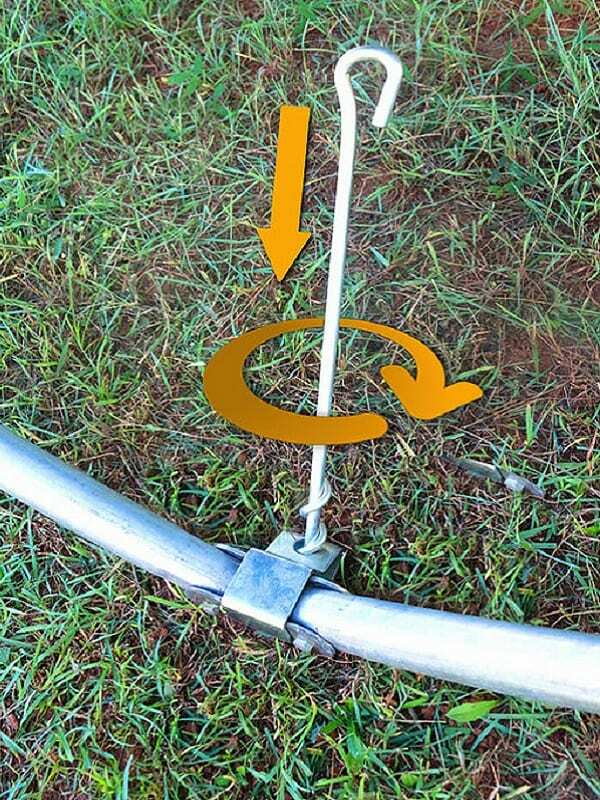 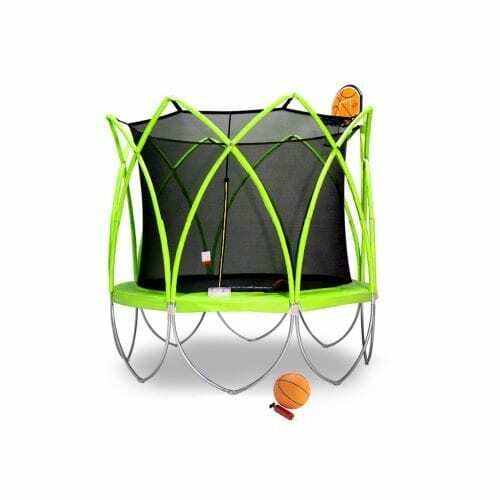 Just put on the hook and twist the hoop to secure your trampoline. 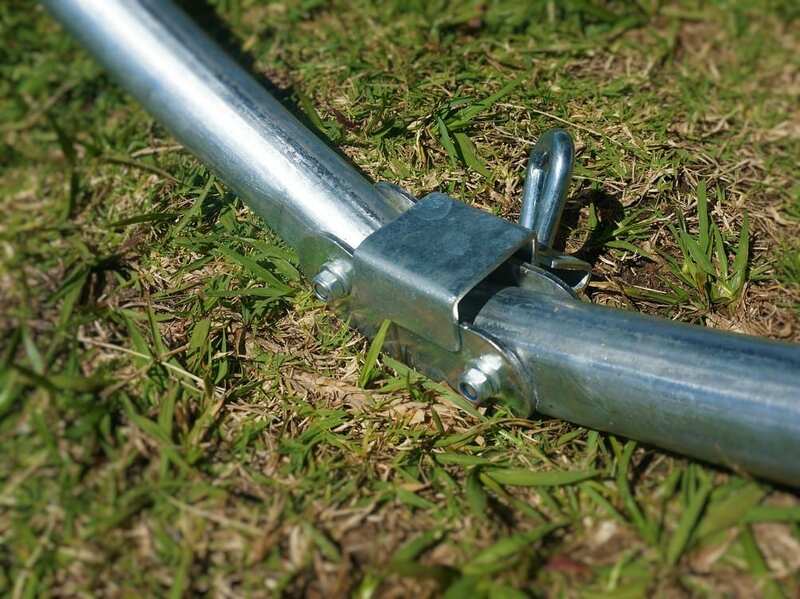 The special “U” clamp is perfectly designed to fit with SPARK support leg. 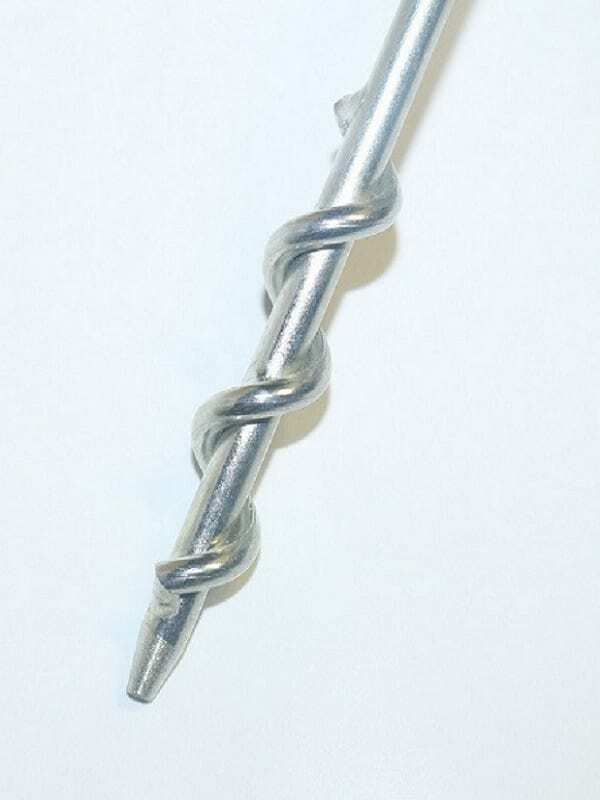 It is almost invisible. 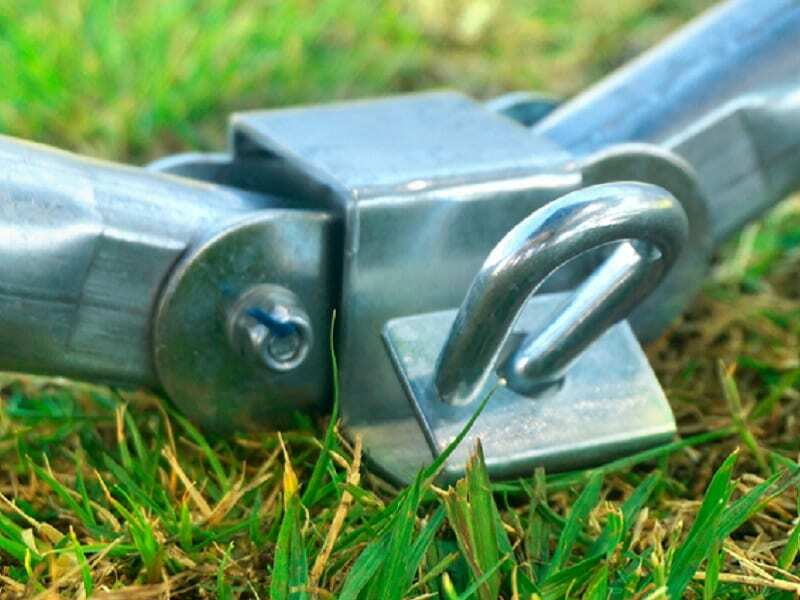 The hooks and clamps of Anchor Set are made from high strength steel tubes with galvanised surface finish, which guarantees strong and long-lasting performance.